Pride of ownership shows in this well maintained 2 story. 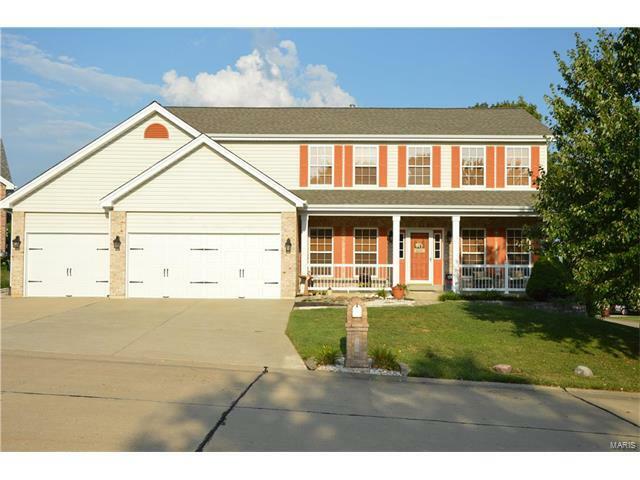 In a secluded subdivision yet close to everything Large 3 car garage and covered front porch are just the beginning. The main level consists of a large family room, formal living and dining room and a kitchen that is a delight for entertaining with a center island/breakfast bar, quartz countertops, under cabinet lighting, backsplash, double sink, upgraded cabinets, planning desk a walk in pantry and a main floor laundry are off the kitchen. A hall closet and half bath complete the main floor. Entertain your guests on the large shaded deck. On the upper level you will find a spacious master bedroom with a 10 x 9 walk in closet the master bath has a double bowl vanity , whirlpool tub, separate shower and linen closet. There are also three other bedrooms 2 of which have walk in closets. The lower level has a recreation room with ceramic floors and lookout windows. This home is a must see. Home warranty will be provided.